With just one click in our control panel you can install Zikula 2.0.0! Allow you to create a highly customized online store that you can expand without limitations start from $5 per month. Zikula 2.0.0 has Symfony at it's foundation, which includes Doctrine. Symfony is an Open Source distributed PHP framework. A framework helps you work better (structuring developments) and faster (reusing generic modules). Zikula 2.0.0 integrates Twitter's Bootstrap 3 and Font Awesome 4. Font Awesome adds amazing iconic graphics. Zikula 2.0.0 utilizes jQuery for exciting web user-interfaces and effects. If you have chosen to use Zikula 2.0.0 Hosting, you can count on our unique handmade hosting solution. We will make sure that Zikula 2.0.0 runs smoothly on our servers and that your website is safer, faster and better supported than anywhere else! Our powerfull servers are especially optimized and ensure the best Zikula 2.0.0 performance. We have best data centers on three continent, unique account isolation for security, and 24/7 proactive uptime monitoring. Our support team is extremely fast and can help you with setting up and using Zikula 2.0.0 on your account. Our customer support will help you 24 hours a day, 7 days a week and 365 days a year. 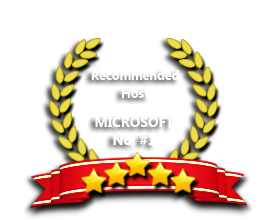 Our Windows Cloud Hosting fully supports Zikula 2.0.0 hosting. You are more than welcome to try our Free Windows Cloud Hosting before you decide to buy. You can get your Free Cloud Windows hosting account up and running within the next few minutes.